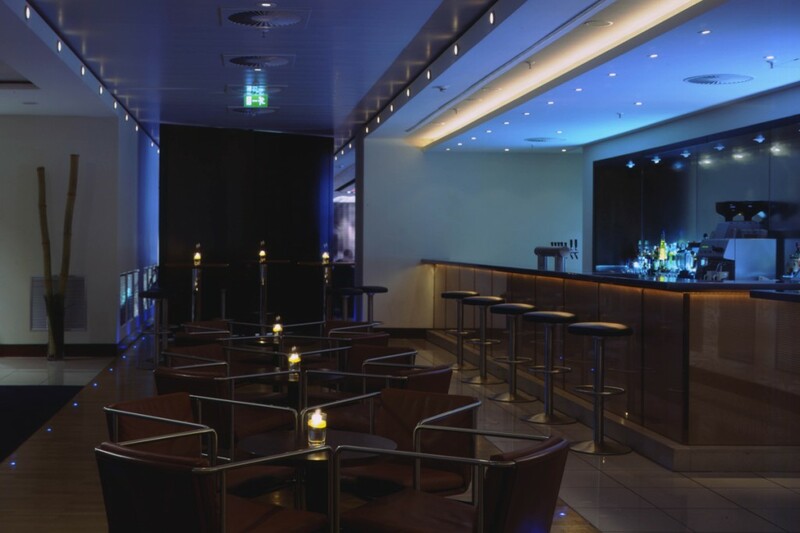 The Sheraton Hotel were eager for a UK design team to work closely with the German contractors on the project. 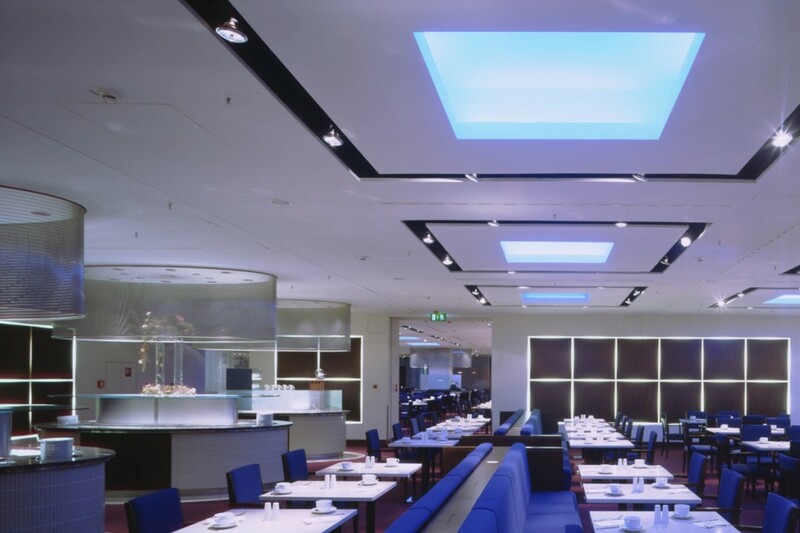 The aim was to rebuild an existing well known landmark hotel inside Frankfurt Airport. 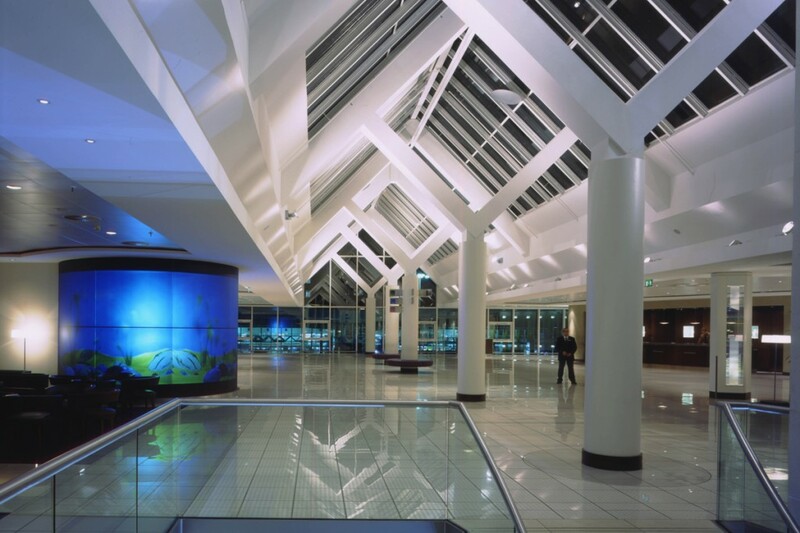 Lighting design included entrance lounges, reception, restaurant, destination bar and a ‘winter garden’ atrium area. The ‘Y’ shaped columns in the atrium ‘winter garden’ became a key focus point – highlighting the architecture of the space created a sense of drama and grandeur in the public area of the hotel. The columns are uplit from a perimeter pelmet with German-made track projectors, whilst also spotlighting down. 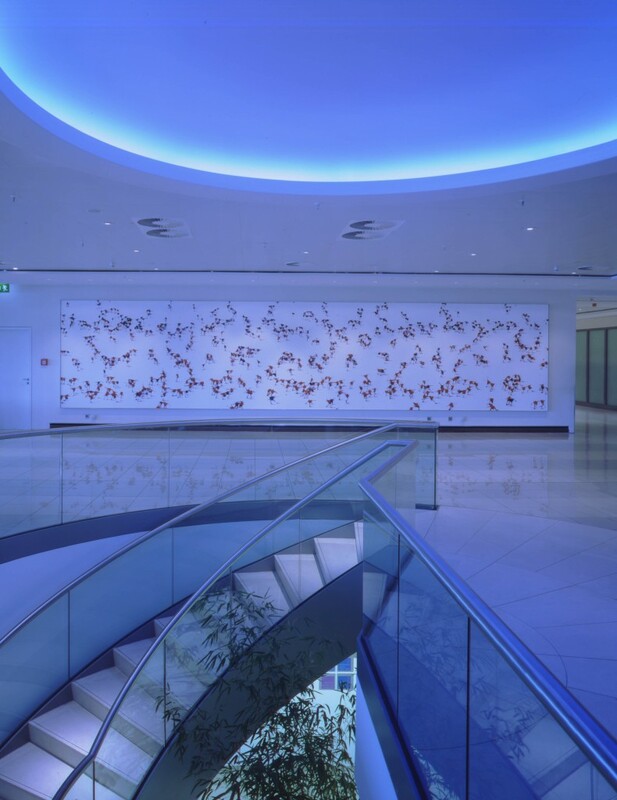 Low-level ambient lighting in circulation spaces allowed for feature-lit architectural elements such as screens and curved walls to stand out. 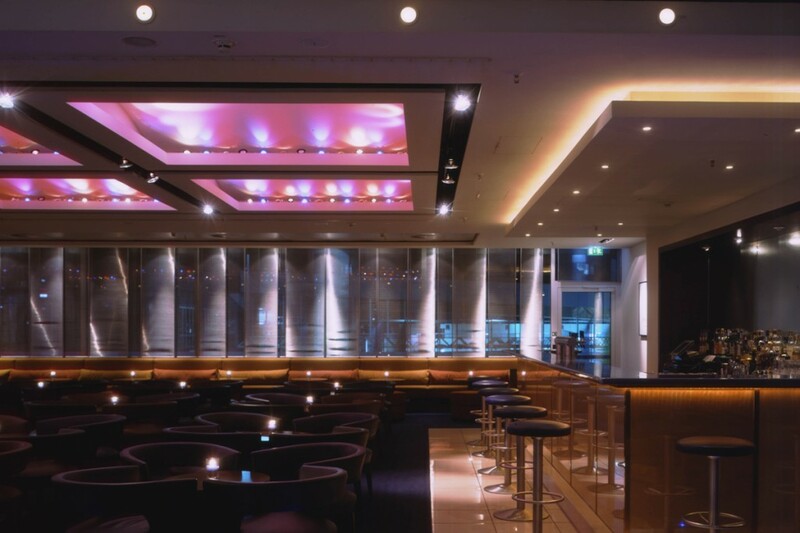 Coloured wall washes and feature lit coffers create a different feel in the evenings for the restaurant, bar and lobbies. At all times efforts were made to produce a lighting scheme that wasn’t just a ‘light effect’. 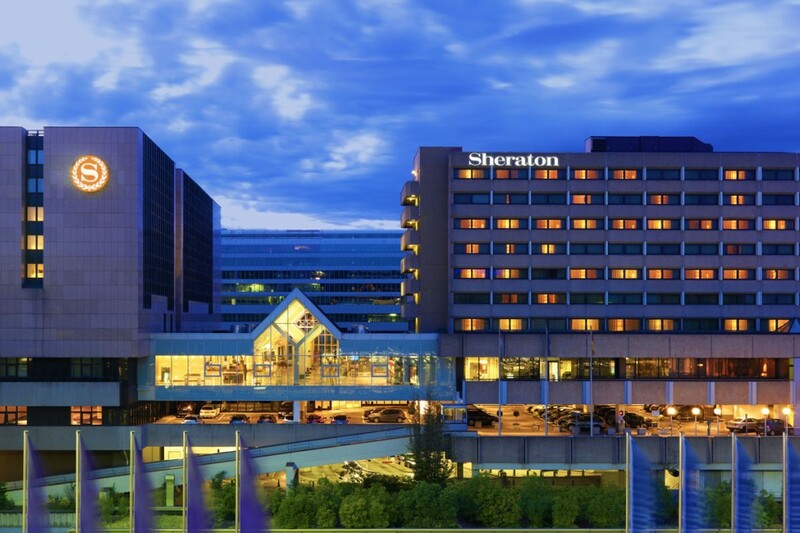 The scheme achieved a dramatic change from the previous fit-out and revitalised the Sheraton image at a key site.